The financial services provided by the banking sector play a vital role in business activities in Malaysia. Motor vehicle financing is one of the products being offered to the public. Due to the publics’ positive perception or belief in Islamic banking operation, a large number of conventional banks offer the Islamic system of loan. 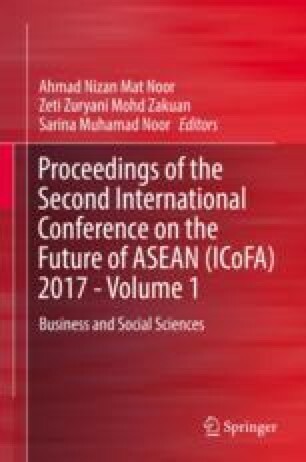 Therefore, the specific objective of this paper is to determine the performance or competitiveness of Islamic car financing compared to conventional car loan, namely, hire purchase, in Malaysia. The constant market share analysis (CMSA) is adapted to decompose the change in loan into two aspects, namely, the competitive effect and the growth effect. The secondary data of car loans from 2011 to 2014 are used in the study. The findings show that Islamic car financing is becoming more competitive and expected to surpass the amount of conventional loans starting year 2018. However the growth effect for Islamic car financing is still lower.